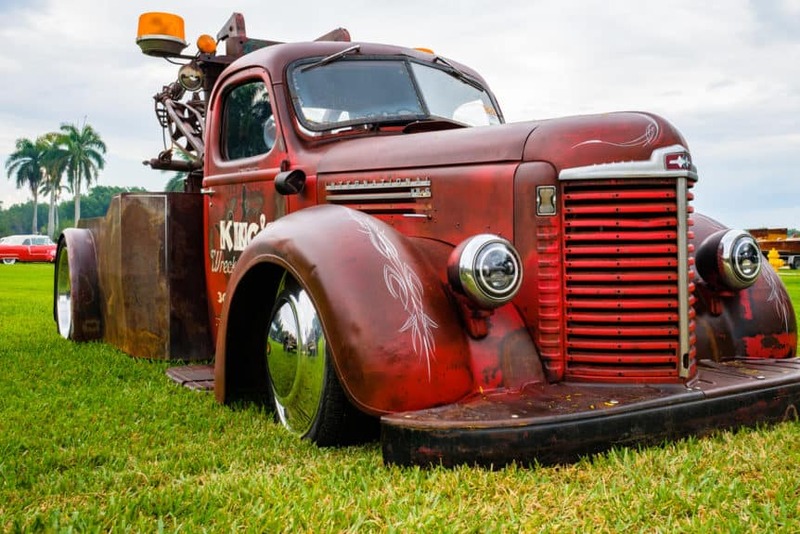 History Of Towing And Tow Trucks – How It All Started? Tow trucking service ever-so-quietly makes the world go round. It’s one of those aspects of our everyday lives that few people talk about on a daily basis, but is paramount when the faithful moment comes. Seldom do we think about what modern life would be like if tow trucks didn’t exist at all, and today we will try to change that. Heavy-duty tow trucks are not nearly as appreciated as they should be, at least by those whose commercial vehicle never broke down in the middle of nowhere. It is in these frustrating and helpless moments that the nearest tow trucking service comes into play and saves the day or even the week. 100 years have passed since the tow truck as we know it was born, so let’s delve a little deeper into the interesting history of this silent yet heroic business. Desperate times call for desperate measures. The year was 1916. Ernest Holmes, a mechanic from Chattanooga, Tennessee, had to face an unusual task: he needed to recover a Ford Model T belonging to his former professor who had lost control of his car and drove off the road, ending up in a creek. The process of retrieving the vehicle required six men, eight hours, countless blocks, and a lot of rope to serve as tools and props. The car was eventually saved. Holmes started his work on developing a simpler method to recover vehicles and came up with a crane and pulley system that he attached to his 1913 Cadillac. This looked good in theory, but it turned out that his new towing system just wasn’t stable enough to recover vehicles. Determined, he continued to work on his towing designs and eventually added outriggers to support and stabilize his new invention. Holmes earned a patent for his machine in 1919, and thus a new business was born – tow trucking service! The first commercial tow truck this mechanic built was the Holmes 680 which was supposed to retail at $680, but as it turned it was simply too expensive. He then created a cheaper version called Holmes 485, which he sold for, you guessed it, $485. Holmes mounted his system on a 1913 Locomobile, a steam-powered vehicle with a six-cylinder engine and four-speed manual transmission. What is also interesting is that his company, which was sold back in 1973 and is now known as Miller Industries, built vehicles for military use when the United States entered World War II. The hook and chain system works like this: Chains loop around the car’s axle or frame and a boom winch lifts it. However, this equipment can only work for cars with steel bumpers without all-wheel drive, or it will damage the bumpers or drivetrain. This is now one of the most common types of towing equipment, where a yoke fits under the car’s wheels and lifts part of the car off the ground. This system involves a boom winch that is attached to a vehicle that needs to be towed and lifts it. The truck tows a flatbed behind it. The towed car sits on this flatbed above the ground. The combo system that has both the boom and the wheel lift equipment. So there you go my tow-truck-loving friends, now you know a little bit of tow truck history… Next time your car breaks down, or God forbid, you drive off the road and you need assistance, we hope you will indeed feel truly grateful for the amazing invention that is tow truck. Great article, shared this one with a few of my friends who own tow companies. Thanks! 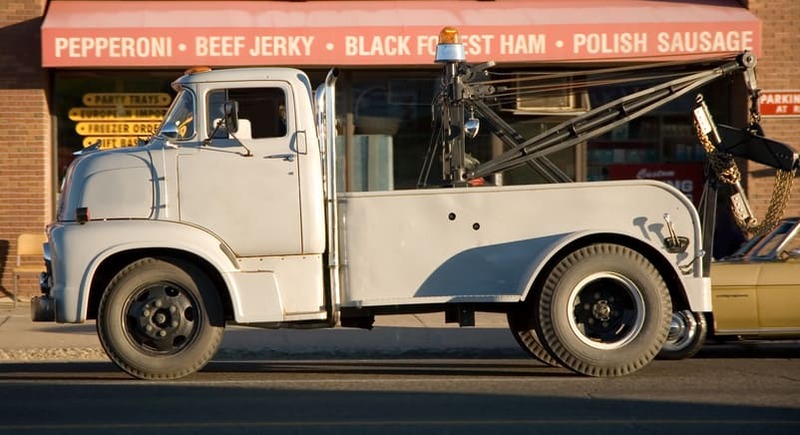 Thanks for the cool read about towing and the history of tow trucks. I actually didn’t know about hook and chain systems or that this only worked for cars with steel bumpers without all-wheel drive. I’m kind of interested to see what these vehicles looked like and how they differed from other designs.